Remarkable workmanship goes into crafting the hand-wrought metal and colorful cloisonne that distinguishes each unique style. 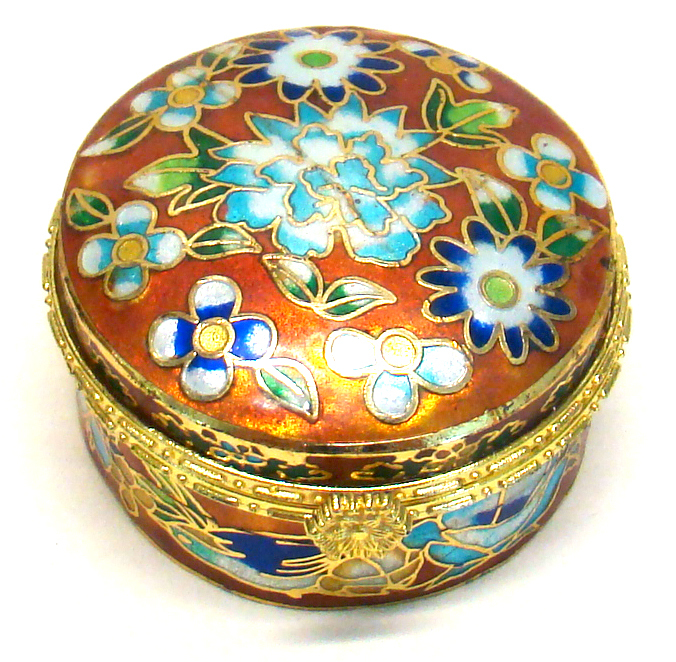 This decorative cloisonne box is suggested as a beautiful addition to your home or as a gift to someone special. 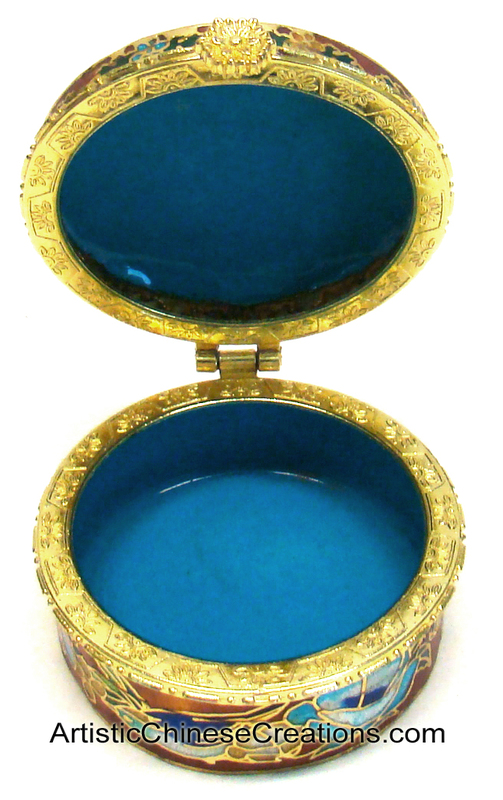 Hand made Chinese cloisonne jewelry box.